Israel will launch another spacecraft to the moon after its first attempt ended when the probe crashed onto the planet on Thursday night. Morris Kahn, the founder of SpaceIL, the Israeli nonprofit behind the project, announced Saturday evening plans for Beresheet 2.0. “We started something and we need to finish it. We’ll put our flag on the moon,” Kahn said. “That’s the unique spirit of Israel- striving for success in face of adversity and obstacles,” stated Israel’s Foreign Ministry Spokesman Emmanuel Nahshon. Beresheet crashed into the moon on Thursday night, moments before its scheduled landing. Preliminary data supplied by the engineering teams of SpaceIL and Israel Aerospace Industries (IAI) suggests a technical glitch in one of Beresheet’s components triggered the chain of events that caused the main engine of the spacecraft to malfunction. Without the main engine working properly, it was impossible to stop Beresheet’s velocity. Beresheet overcame the issue by restarting the engine, but its velocity was too high to slow down and the landing could not be completed as planned. 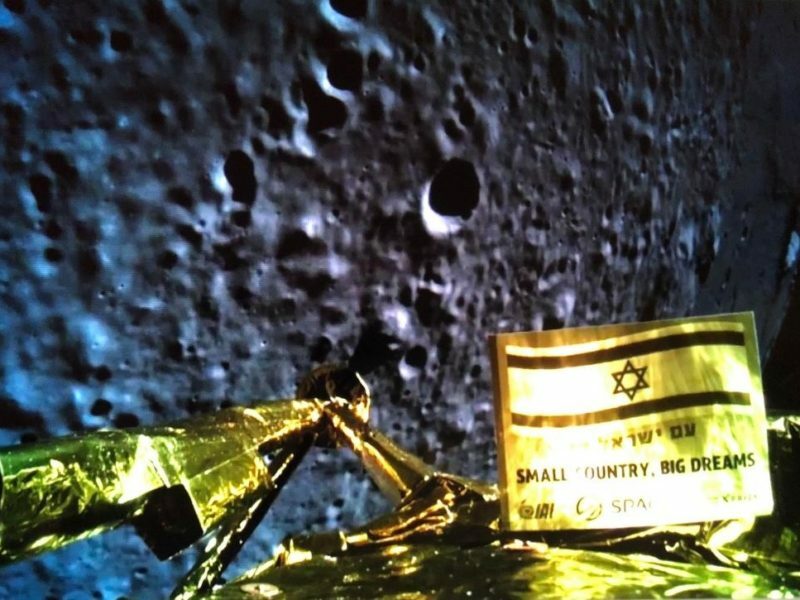 At 150 meters (492 feet) from the ground, when the connection with the spacecraft was lost completely, Beresheet was moving rapidly to the inevitable collision with the lunar surface. Comprehensive tests will be held to gain a better understanding of the events. The first Israeli spacecraft succeeded in traveling 400,000 kilometers (248,548 miles) from Israel until it touched the moon. This project lasted eight years and contributed significantly to Israel’s space industry. The 160-kilogram unmanned four-legged spacecraft would have been the smallest and cheapest spacecraft to land on the moon, and would have made Israel the fourth country, after three major powers, the US, Russia and China, to land a craft on the moon.